R-R-Rave onnnn! Are you looking for a new place to play all your fave online slots? Well, ladies and gentlemen, let me introduce to the stage, the one, the only…Stereo Spins! 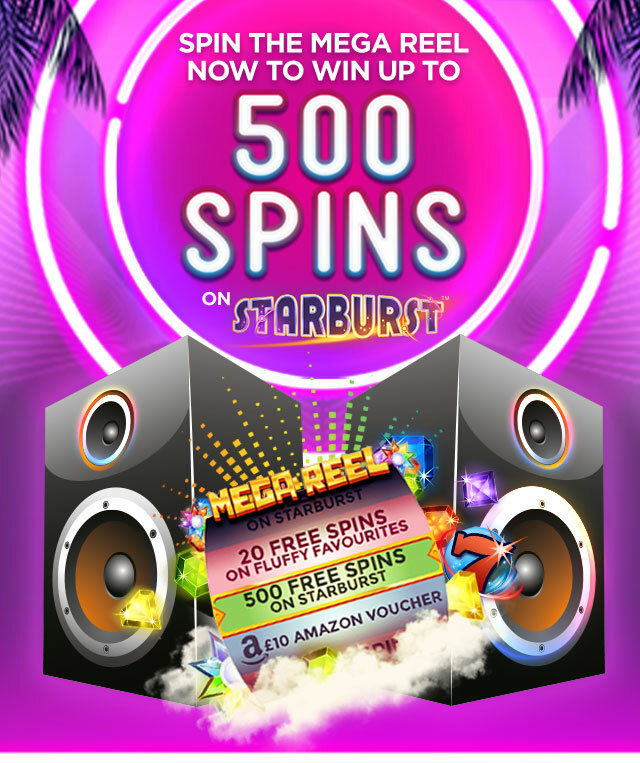 Stereo Spins is jam-packed to capacity with more than 350 thrilling games on offer, from the biggest and best gaming providers in the industry including the big headliners NetEnt, Eyecon and Microgaming! All your favourite and the most popular games are available such as Starburst, Rainbow Riches, Gonzo’s Quest and of the course the very own DJ Wild. 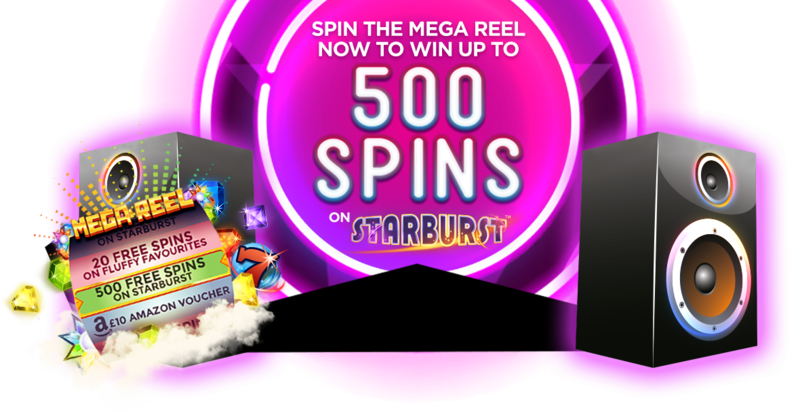 Join the party and take a spin on the Mega Reel for your chance to win some amazing prizes including Amazon Vouchers, Extra Spins or a massive 500 Starburst Spins*.